$400 OFF Any Installed Steel Fence Project of $4,000 or More. Durable, Strong Materials by Made in USA by Montage. Valid through April 30, 2019. Please present this coupon at the time of estimate. 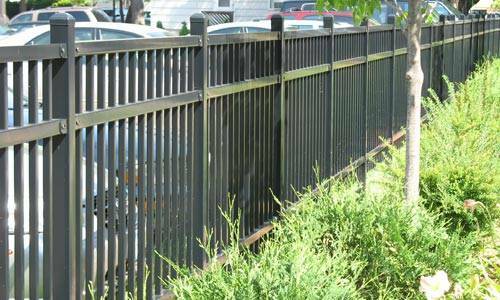 Less than $21.00 per foot, Black Ornamental Steel Fence. 80′ of 48″ High, 3 Rail Montage, materials only. 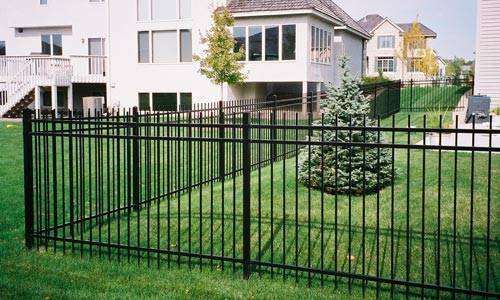 It’s hard to go wrong with an ornamental steel fence, when durability and strength are the primary concerns. 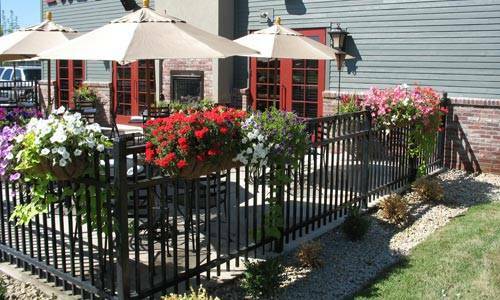 As the leading residential and commercial fence company in the Twin Cities, we feature Montage steel fences from Ameristar. 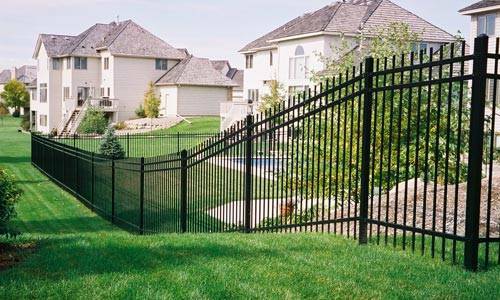 Manufactured in America, Ameristar steel fences and matching gates feature all welded construction and four-layer E-Coat finishes that have a 20-year warranty. The look of any property is important for distinctive homes and buildings, whether new or historic. 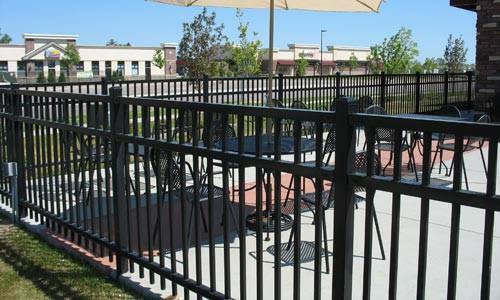 Today’s ornamental fencing from Ameristar is the ideal replacement for the classic look of wrought iron. Elegant and durable, you can’t beat its strength and solid beauty. As an addition to any gracious residence, this material makes a statement no other can match. For your distinctive home or other property, establishing a perimeter around your property is important. Your fence should match the pride you have in your home. 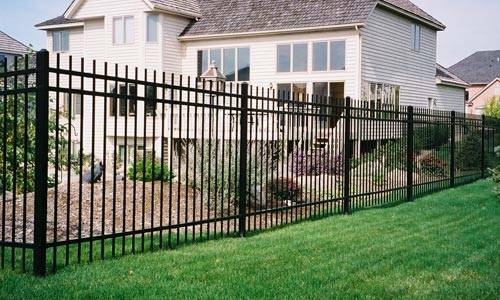 Security, too, is important and Ameristar steel ornamental fencing has the strength and solidity to secure your property from intruders. Matching security pedestrian and driveway gates in a wide range of design choices complete your project. For residential, institutional and commercial properties, establishing secure boundaries is important. 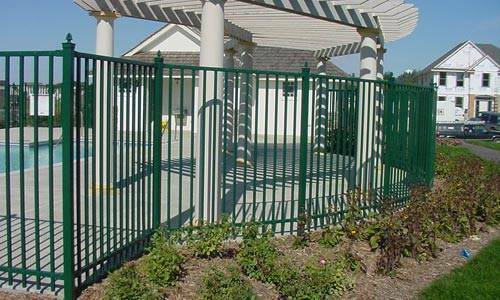 Steel ornamental fencing is ideal. Combined with strong drive and walk gates featuring automatic opening equipment, your Ameristar steel fence will be beautiful and protective for decades to come. From secure parking lots and storage areas to borders around gated communities and residential properties, let us show you all of your options. Steel ornamental fencing has many architectural uses, and can be installed as a part of partitions, walls, and other features to provide a unique look that will remain beautiful for decades. It’s also ideal for swimming pool enclosures, interior partitions and many other creative uses. For both residential and commercial properties, the look of wrought iron is in high demand. We will be happy to show you the Ameristar advantage. From school campuses to a wide range of business facilities, ornamental steel is the gold standard of quality and beauty. Your investment in steel fencing from Ameristar is an investment in durability, beauty and security that is unmatched by any other material. 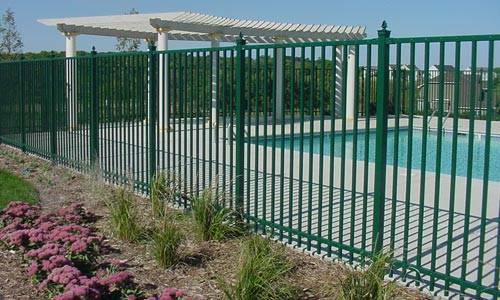 Our Minnesota fencing company specializes in these installations. Let us show you why steel can be your best material choice. At a cost far lower than a traditional wrought iron fence, today’s steel ornamental materials provide the same quality appearance, but with lower material prices and far lower installation costs. The total price estimate for any project depends on many factors, but the enduring beauty and luxury of steel provides outstanding value over time. Bring us your ideas and we’ll give you a highly competitive price quote. Beauty – The look of a steel or wrought iron fence is traditional and speaks of elegance and pride of ownership. Strength – Steel has superior strength that can withstand the elements and remain straight and beautiful throughout its long life. Endurance – Ameristar’s ProFusion welding technology makes Montage steel pickets, posts and panels incredibly strong – much stronger than typical screwed-together components. 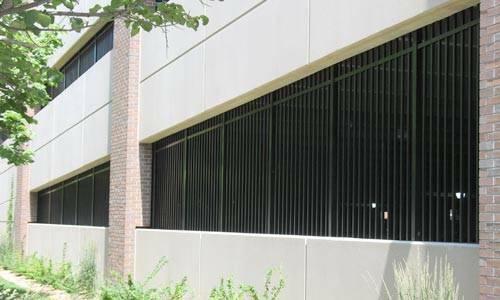 Weather Resistant Finish – Multiple-layer E-Coat finishes over galvanized steel components offer superior weather resistance for the Minnesota climate. In traditional black or bronze, the 20-year warranty assures you of quality. 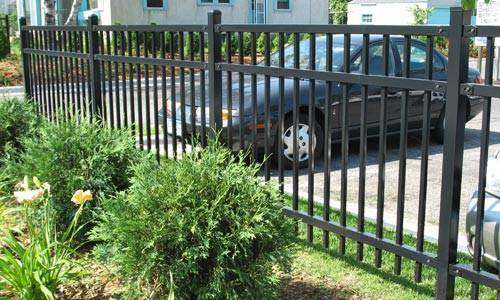 Two Grades – Montage steel ornamental fences are perfect for residential use, while Montage Plus fences offer even more strength, for challenging residential or commercial use. Options – Heights from 3′ to 8′ let you customize your fence, while the selection of styles lets you choose exactly the look you want. 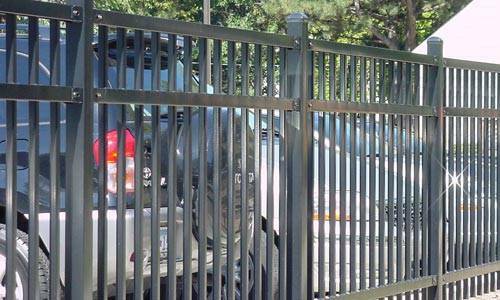 Matching Gates – Pedestrian and vehicle gates are available to match every design and style. Cantilevered sliding steel gates and beautiful no-sag swinging gates are just some of the options. Compatibility with automatic gate operators is built-in. 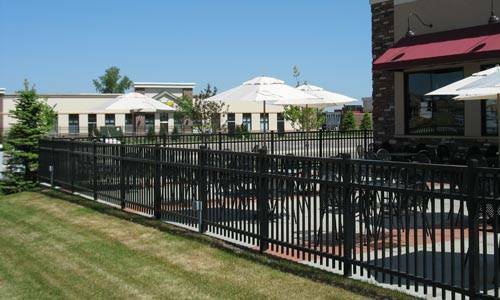 When you want the very best steel ornamental fence for your property in the Minneapolis St. Paul metro area, you will be very pleased with products from Ameristar, built by our seasoned installers. From all the available manufacturing companies, we’ve chosen the products from Ameristar to offer our customers. 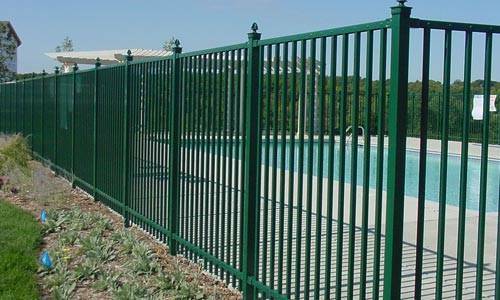 Competitive in price with other ornamental metal fencing, it offers the strength, beauty, and long life that our customers insist on. Quality and customer satisfaction is always our top priority. 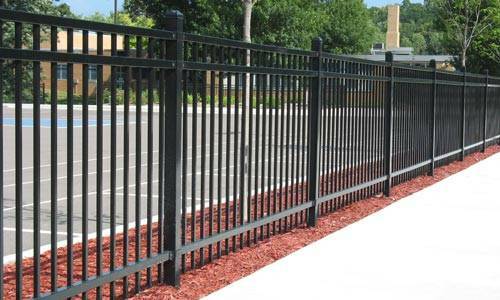 The cost of a steel fence is determined by its size, style and installation needs. We offer the most affordable prices through volume discounts from the manufacturer. Our savings are our customers’ savings. We provide free onsite estimates. 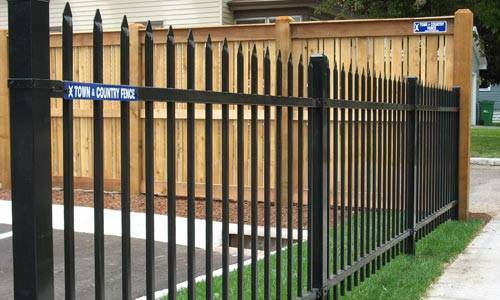 At our Minneapolis locally owned and operated fence company, every steel ornamental fence we install has to match our high standards of quality in all areas, so it will match your expectations. We’ve seen products from every manufacturer, and always select products with the very best in quality and long life to offer our customers. Then, we install every fence as though we were installing it on our own property. Come into our beautiful store and showroom and see the quality for yourself. Or contact us for a free consultation and quote at your own location.